Being a fan of the first GlamGlow Tingling Exfoliating Mud Mask, when I heard the brand had extended the range and released a version catering for those with dehydrated skin, I couldn't wait to get my hands on a pot. 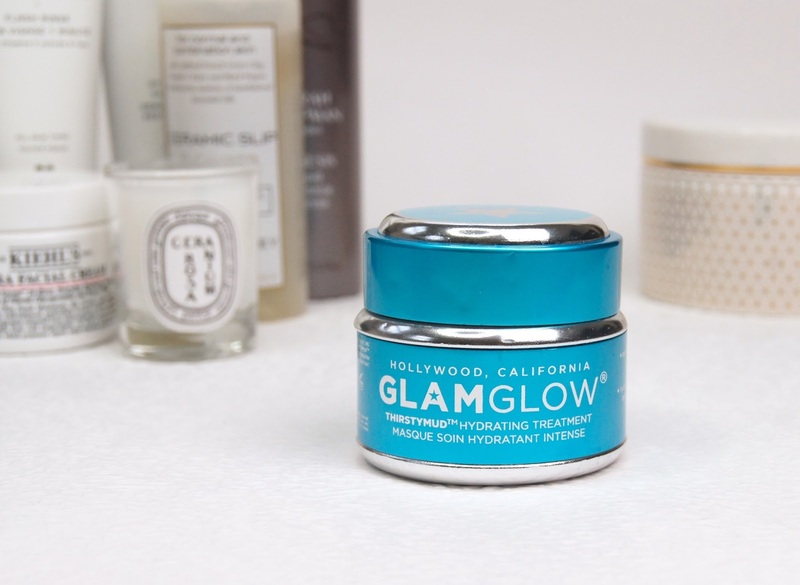 It took me a while to take the plunge and purchase the GlamGlow ThirstyMud Hydrating Treatment and I'm only disappointed that I didn't pick it up sooner! From first use, it jumped right up to become one of my top five, favourite face masks. During a bout of what felt like the worst flu ever, I was feeling so run-down and gross, but my skin showed no signs of illness thanks to this treatment. It was the wonder, rescue product I really needed to save my skin and left me me so impressed that I've been hooked on it ever since. When my skin is feeling in need of a moisture surge, I've been using it as a morning treat. Or, if I don't have much time and I know I'm doing something special the next day, I've been slapping some on after cleansing in the evening and leaving it to work its magic overnight. Unsure as to how it would compare to its predecessor in texture and application, I wasn't sure whether to expect a traditional mud, gel or cream consistency. 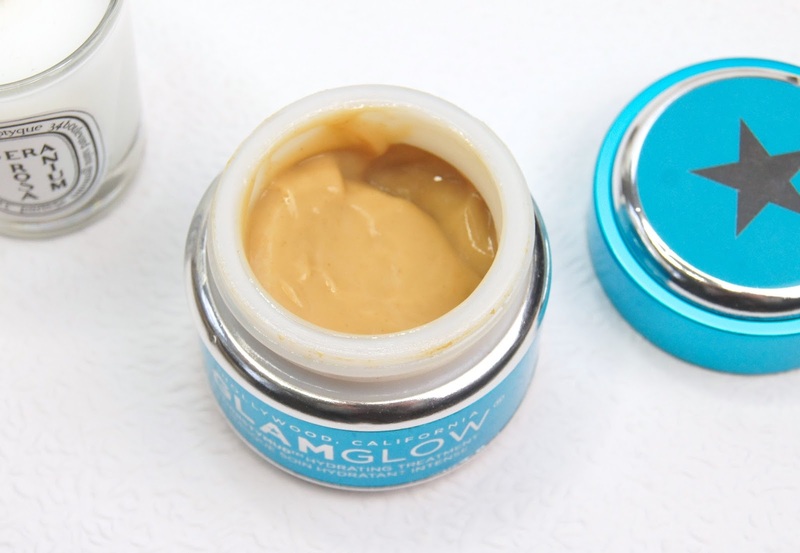 A total step away from the original GlamGlow mud, you wouldn't associate the thick, totally smooth, gel formula with mud at all, if you hadn't read the label. It has an unusual, beige colour to it, but looks clear on the skin, so it wouldn't get you any funny, judgmental looks if you were to slather it on during a flight. One of my favourite things about it, aside from the incredible results, is the smell. Oh my gosh, every time I go into the bathroom and see it on my shelf, I have to open it up and stick my nose in it. Think about a mouth-watering, exotic, pina-colada, suncream kind of scent and you still won't be close to how delicious the fragrance is. With an ingredients list full of hydration heroes, I'm not surprised that this treatment is so effective and you can tell that the brand have put a lot of thought into the formula. Ground olive leaf, which is full of the fatty acid linoleic acid, is just one of the nourishing additions to the powerful line-up. Hyaluronic acid, citric acid and Hydraclay, which traps and retains moisture in the skin, provide long-term, on-going hydration. Coconut oil, honey and ginger, which we all know to be beneficial and often feature in skincare products, give the skin instant radiance. I could go on, but I think it's pretty obvious that this mask is a force to be reckoned with. Applied onto dry, cleansed skin, this mask is so refreshing and once it's settled after a minute or two, it honestly feels like a hug for your face, calming and soothing. It's not difficult to spread evenly across the skin, which was the only thing I found frustrating about the original formula and you only need the smallest blob per application, even if you're being generous! The longer you leave it on, the better. As the majority of the gel absorbs into the skin, you can really feel it drink up all the hydration, becoming plumper. After a minimum of around twenty minutes, I like to buff off any excess with a warm flannel. But, if I'm having a no makeup day, then I simply massage the remainder into my skin and then carry on with the rest of my skincare routine (toner, serum, moisturiser). If I decide to use it overnight, then I'll just remove my makeup, cleanse as usual and then apply the mask like my moisturiser and leave it there, no rinsing needed. Afterwards, skin is left so smooth and soft and it looks dewy straight away if I choose not to rinse the leftovers off. There's no oily residue left behind and skin continues to feel clean and fresh, if you use water to remove any excess. Skin looks more even in tone and definitely clearer, with no redness or irritation. If fragrance upsets your skin, then it could cause a flare-up, but I consider mine to be somewhat sensitive and it caused me no issues. I'm sure even the most oily of complexions, that can still be dehydrated, could benefit from this mask, as it's so light and shouldn't clog your pores. GlamGlow masks, no matter how effective they may be, are expensive. But, I think the Thirstymud, which is £39 for 50ml, is much better value, as you need such a small amount per use. At the moment, my pot is around three quarters full and I'd guess I've got about six uses out of that, which is very good going. With the original, mud mask, I wasn't a fan of the screw-top, pot packaging, as I found it difficult to get to the product, resulting in a messy application. However, it suits this formula better and I love the bright, blue colour of it. My beady, beauty eye is on the PowerMud, next. Watch this space! 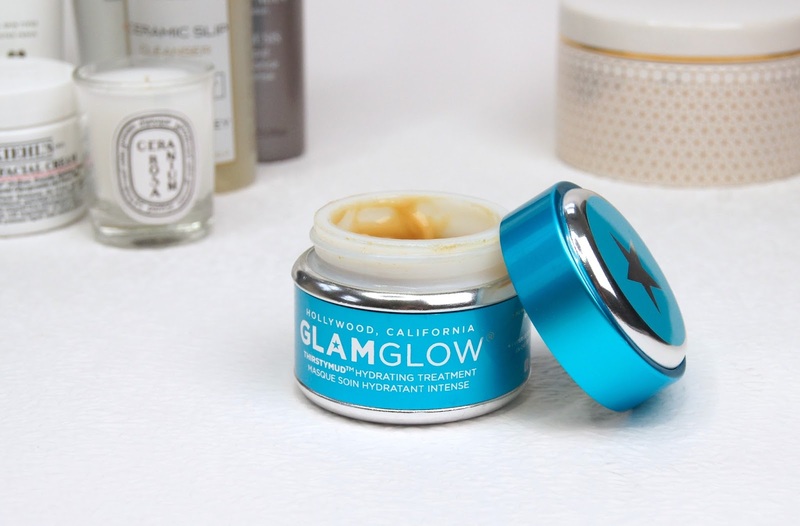 Are you a fan of GlamGlow?